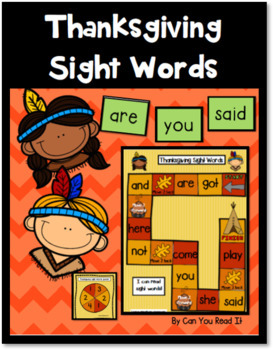 Use these fun games to help students practice beginning sight words. Students need to spin and read the sight words to help the Native Americans reach their tepees. 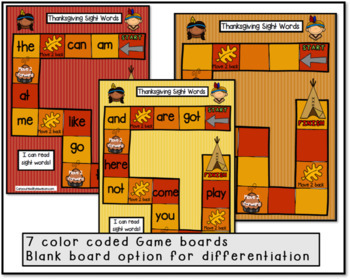 There are 7 different boards included with differentiated wordlists. There is also a blank board included. 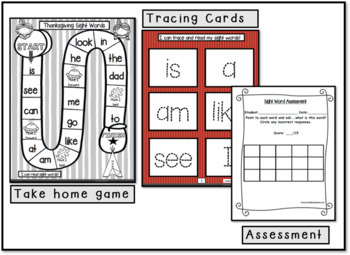 Plus there are flashcards and printables like tracing sheets and an assessment tool. Perfect for literacy centers, intervention, and Daily 5. Great game for a Thanksgiving party too.